Here’s Skotte looking as constipated as possible. 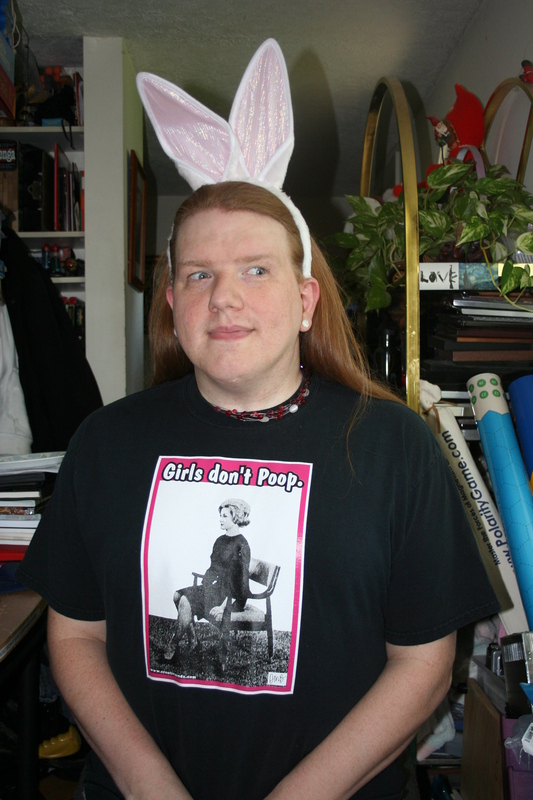 Girls don’t poop. Bunny ears are optional. We got this shirt in about 2003, in Pittsburgh, where these two people were selling this and a couple other things. They previously were pointing people to their website at creativeendz.com, but that appears to now be a nail salon in Ontario.